SHIPS FREE!!! 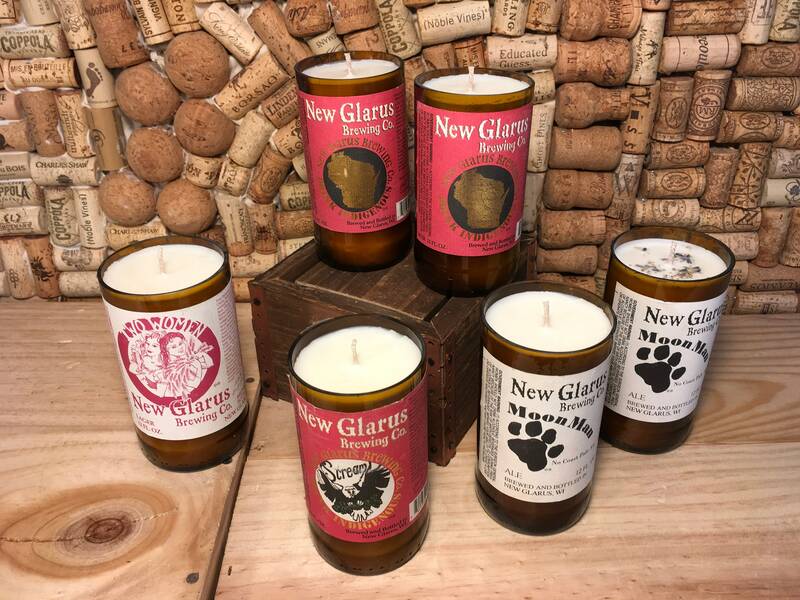 New Glarus Brewing Co bottles that have upcycled into soy candles. Choose your scent and label by using the drop down menu. Bottom left, Two Women: It is filled with premium soy wax in our Grapefruit scent. This fragrance is just that, straight up ruby red grapefruit. Juicy and fresh! Bottom 2nd to left, Scream: This bottle is filled with our Musky Neroli w Lime fragrance. It has top notes of mandarin and tarragon, middle notes of rose, honey and osmanthus, and base notes of caramel, amber and musk. This scent isn't too girly! Bottom 2nd to right, Moon Man: Lemon Eucalyptus scent. This fragrance is a powerful blend of these two oils. Strong and clean! Bottom right, Moon Man: Lavender Eucalyptus. This fragrance is a blend of these two oils. We use French Lavender which is heavier than normal lavender. We find the scent throw better for candles. Mixed with eucalyptus this is a very invigorating scent! Top left, Red Label: This is filled with our Gypsy Spirit scent. This has top notes of citrus and tea, middle notes of pepper and ginger, and base notes of cedar. My favorite! Top right, Red Label: It is filled with premium soy wax in our Grapefruit scent. This fragrance is just that, straight up ruby red grapefruit. Juicy and fresh! 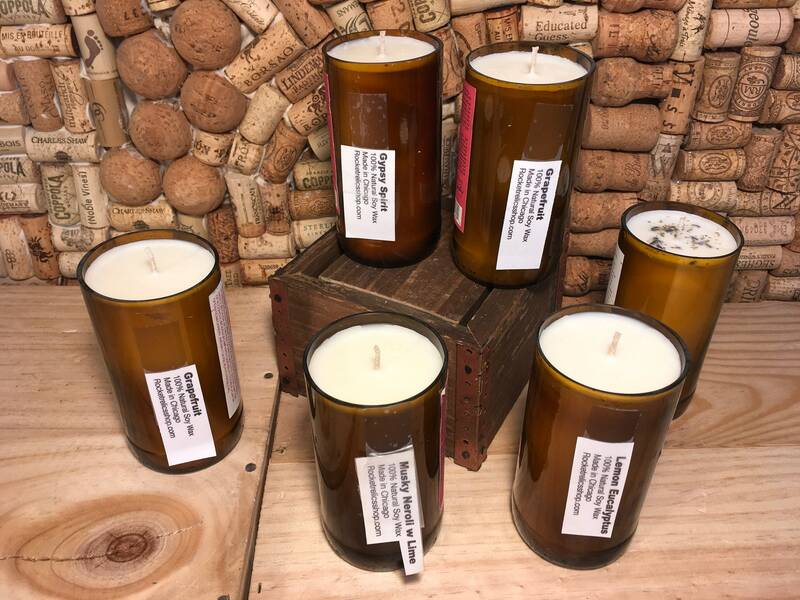 Check out our "beer bottle candles" section of our shop! We use premium 100% natural soy wax. Expect more than 35 hours of room filling scent from this bad boy. This is a can with character and vintage charm as can be seen in the photos. This features a self trimming wick. We ship on Mondays and Tuesdays. If you would like to pay for expedited shipping or have another request please message us. Thanks!